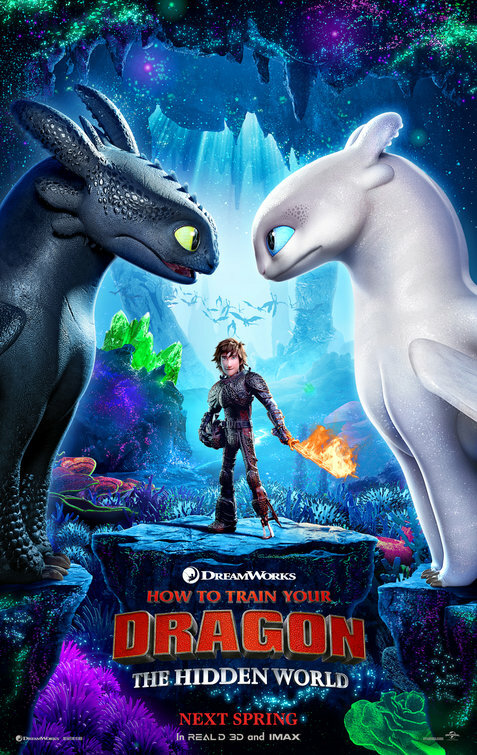 Is é an scannán seo an tríú cuid agus an chuid dheireanach den tsraith How to Train Your Dragon ón Dreamworks Animations. Bhí sé scríofa agus stiúrtha ag Dean DeBlois agus is iad Jay Baruchel, America Ferrera, F. Murray Abraham, Jonah Hill, Cate Blanchett, Kristen Wiig, Justin Rupple, Craig Ferguson agus Gerard Butler cuid de na haisteoirí sa scannán. Tá Hiccup agus Astrid ag rialú Berk agus tá a lán dragain ann anois. Nuair a thagann Light Fury go Berk go tobann, tagann baol mór go dtí an baile ag an am céanna. Mar a gheall ar sin, caithfidh Hiccup agus Toothless dul ar turas agus troid chun an baile a shábháil. Níl aon dabht ach go bhfuil an scannán seo oiriúnach don chlann ar fad go háirithe do pháistí. Tá an scéal an-suimiúil agus greannmhar, ach tá sé an-mhothúchánach ag an am céanna. Ina theannta sin, tá an bheochan thar barr agus tá na carachtair go hiontach freisin. Tríd is tríd, is fiú é an scannán seo a fheiceáil, gan amhras ar bith.